Cyclops Print Works is proud to present two brand new limited-edition serigraphs to celebrate the release of Aladdin and Disney’s Tomorrowland on Blu-Ray/DVD. Mark Englert’s, “You Ain’t Never Had A Friend Like Me” is a gorgeous 11-color serigraph; plus, it features metallic inks. Mark continues his series of Disney art prints depicting one of the classic, musical moments of the film. We see Aladdin looking up at the Genie as he towers above him after coming out of the lamp for the first time. This piece is a wonderful complement to his show stopping serigraph from this year’s D23 Expo, “She Really Is A Funny Girl,” which will be available online for the first time! 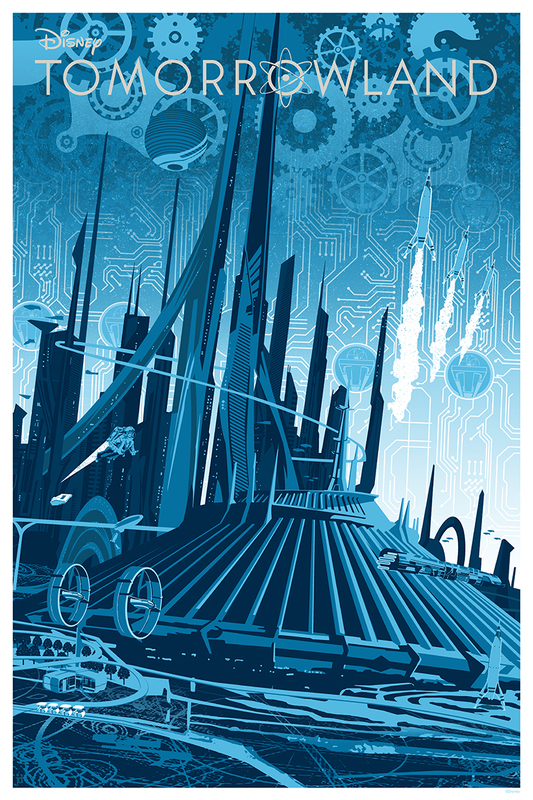 For Tomorrowland, Disney Animation’s extremely talented artist, Joe Dunn, created a wonderful interpretation of the Utopian city depicted in the film. Make sure you keep your eyes peeled, because Joe added all sorts of clever references and easter eggs to the art, and these are sure to please Disney fans. This 10 color serigraph utilizes a split fountain to create the beautiful color blends in the background. As if that weren’t already enough, Joe will also be hand signing each piece of this limited run. 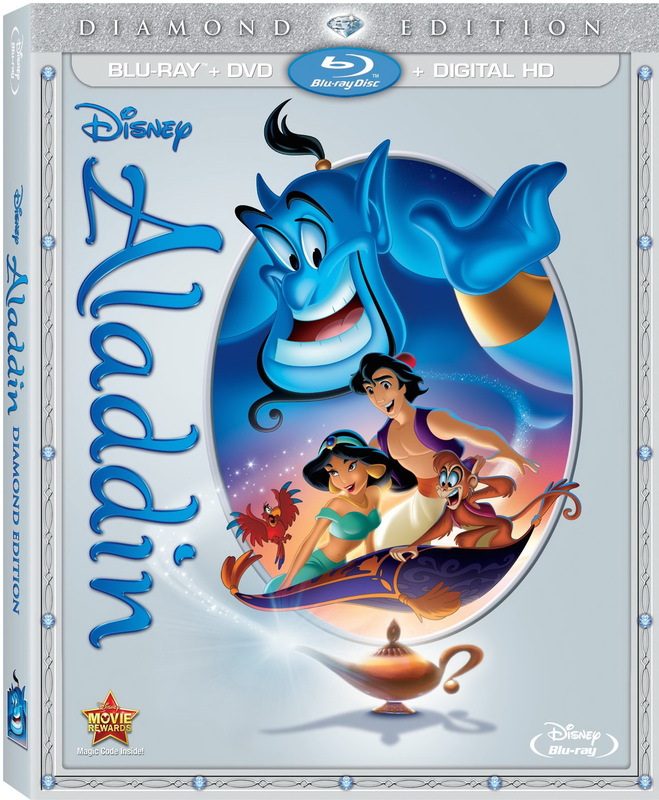 Walt Disney Studios Home Entertainment has officially announced that the Aladdin: Diamond Edition will be available to own digitally and on Disney Movies Anywhere on September 29, 2015, with a Blu-ray combo pack release on October 13, 2015. Soar away on a magic carpet ride of nonstop laughs and thrills in one of the most spectacular adventures on all time! 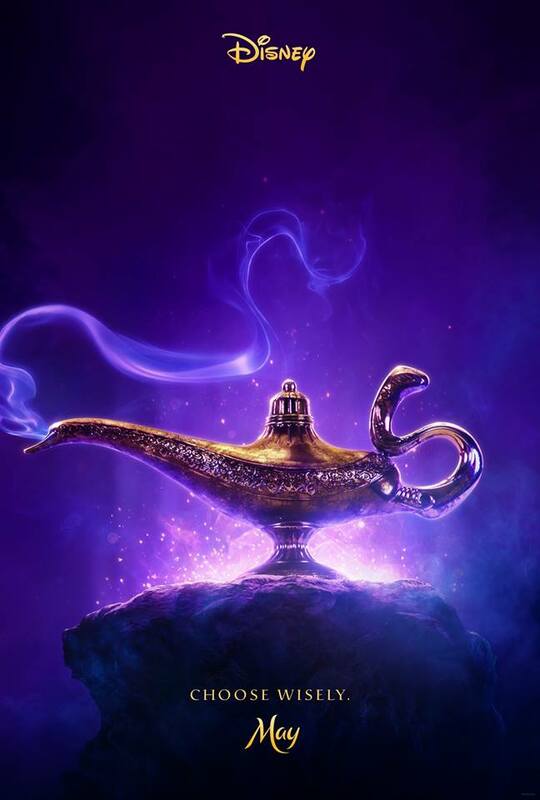 Now meticulously restored and enhanced – experience the wonders of Aladdin like never before, from the Academy Award-winning music (Best Music, Original Song for ‘A Whole New World’ and Best Music, Original Score, 1993) to the unforgettable moments of sidesplitting comedy and soaring adventure.